The National Cancer Institute Surveillance, Epidemiology, and End Results program estimates that when melanoma is localized on the skin, there is a 98% 5 year survival rate. But when the cancer spreads, the rate drops dramatically to 64%. 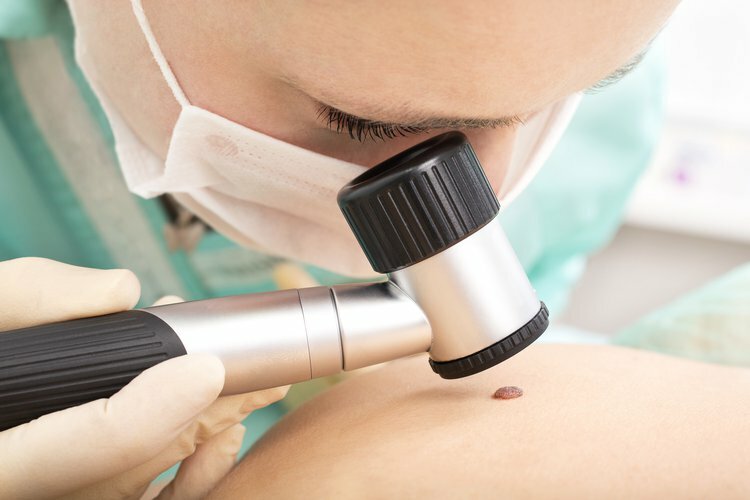 A new treatment for melanoma may be in the works, according to a study at the University of North Carolina Lineberger Comprehensive Cancer Center. The researchers recognized a potential new drug target for this aggressive type of skin cancer, as cancer growth was greatly reduced when blocked in a pre-clinical trial in mice. Melanoma is known as the most dangerous form of skin cancer that can occur in response to DNA damage to skin cells. According to the Skin Cancer Foundation, the chief cause of Melanoma is UV radiation or tanning beds, which trigger genetic defects that can cause tumor formation and a rapid production of cells. The findings were published in the Clinical Cancer Researchjournal, which reported that high levels of an enzyme, known as interleukin-2 T-cell kinase (ITK), was identified in melanoma samples that could be the prospective drug target. This particular enzyme is normally seen in immune cells, which puzzled researchers. According to the paper’s senior author Nancy E. Thomas, “We have discovered that ITK is highly expressed in melanoma even though it was thought to be restricted to immune cells, and when you inhibit it, you decrease melanoma growth." With a growing need for new melanoma treatments, these promising findings provide hope for patients suffering from melanoma. The authors of the study advocate that the enzyme will serve as a vital therapeutic target, given that they assume minimal side effects from the potential treatment.